The bike that Michael Fox was riding. 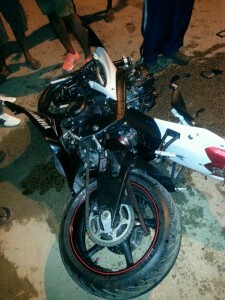 A well-known Lindener was killed late Friday night when the CBR bike that he was riding collided with a car in the bauxite town, residents said. Dead is 22-year old Michael Fox of Central Amelia’s Ward. 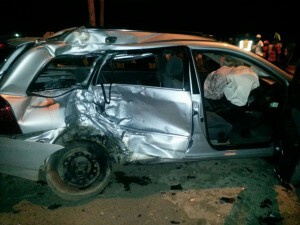 Eyewitnesses said the collision occurred at about 10:30 PM at the Amelia’s Ward junction. Fox was rushed to the Mackenzie Hospital where he was pronounced dead on arrival. The driver of the car was taken into police custody.